To see a step by step example of each repair, just click on the title. Many more projects can be seen at our Facebook Page. 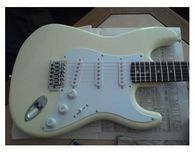 I love taking inexpensive guitars and making real players out of them! 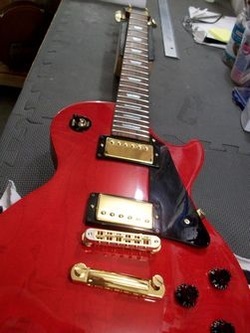 I recently took in this Les Paul Studio that had a not so beautiful fret buzz at various places on the neck. Make this budget LP copy playable again, not perfect just playable. 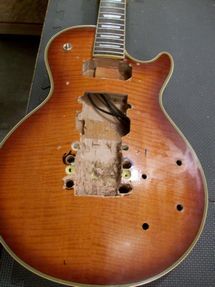 Most people would agree that this guitar is not worth fixing at all, at least in terms of money. 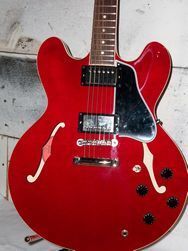 But this guitar has sentimental value and is going to surprise someone this Christmas and that's priceless. 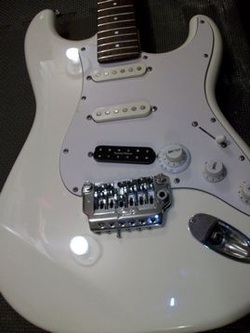 Mid 80's MIJ Strat -Install new tremolo, fix wiring issue causing noise in certain pickup configuration.